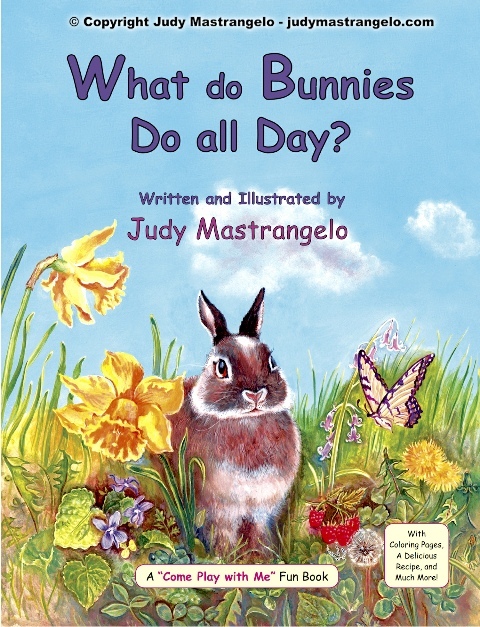 “What Do Bunnies Do All Day?” is a paperback book written and illustrated by world renowned artist Judy Mastrangelo. Her illustrations are soft, sweet, and colorful, reminiscent of Beatrix Potter. This delightful tale will encourage children to experience the awe and appreciation of nature. It tells the story of a little Bunny’s first adventure. Looking to find his place in the big world, he meets a Cloud, a Daffodil, a Bee, a Stream, and all sorts of other creatures. He does many delightful things. When he comes home for dinner with Mama Bunny, she tells him that he did exactly what he was supposed to do ~ explore the world and enjoy himself! Children will love this book and discover ways to create their own adventures with nature, just like little Bunny did. Her illustrations are soft, sweet, and colorful, reminiscent of Beatrix Potter. This delightful tale will encourage children to experience the awe and appreciation of nature. It tells the story of a little Bunny’s first adventure. Looking to find his place in the big world, he meets a Cloud, a Daffodil, Butter-flies, a Bee, a Stream, and other delightful creatures. When he comes home for dinner with Mama Bunny, she tells him that he did exactly what he was supposed to do ~ explore the world and enjoy himself! Children will love this book and discover ways to create their own adventures with nature, just like little Bunny did. Judy has also written and illustrated a companion book for this book. It is called LEARN TO DRAW BUNNY AND HIS FRIENDS. 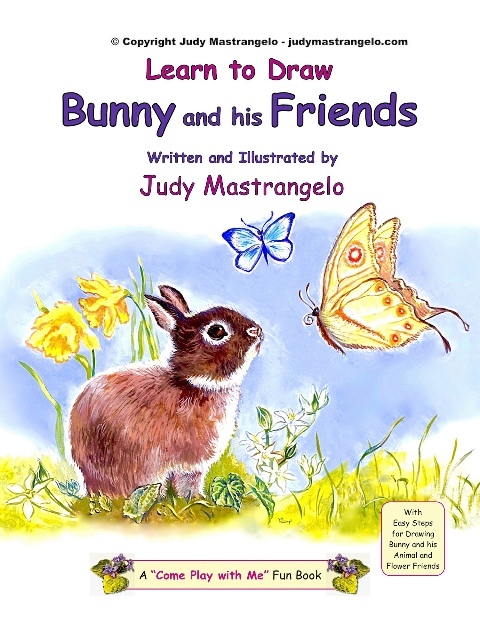 In it she shows easy to do, attractive, and fun ways to draw Little Bunny’s Animal and Flower Friends, which were in the first WHAT DO BUNNIES DO ALL DAY? book.